Marking only the fourth occurrence this year, the S&P 500 index closed negative for the second week in a row amid mounting political worries and a devastating terror attack in Barcelona. From Japan to the United States, markets across the world sold off in unison on Thursday of last week. In addition to the S&P 500 trading broadly lower, the Dow Jones Industrial Average and Nasdaq 100 index both had their worst one-day dive in three months. The S&P 500 was off more than 1.50% during Thursday’s trading, while the Nasdaq was down more than 1.90% and the Dow Jones was down 1.20%, respectively. Analysts attributed Thursday’s stark losses to the combination of the Barcelona terrorist attack and unsettling rumors that, Gary Cohn, the director of the National Economic Council appointed by Trump was mulling resignation. “In a week where we started by worrying about nuclear war, markets have quickly moved on from this, with yesterday's weak session more of a response to fears that Mr. Trump's strategy for the economy and business is falling apart,” said analysts at Deutsche Bank. Many market participants believe Gary Cohn plays an integral role in much of Trump’s economic plan and view him as a direct boon to the stock market. Having been the president of Goldman Sachs, one of the largest and most prominent investment banks in the world, investors see Cohn as someone who understands the markets and is willing and able to set favorable policies for investors. Although the White House refuted claims Cohn is planning to resign, pundits on Wall Street were already speculating how devastating it would be if he left his position. “I don't want to be an alarmist, but there is a lot of faith that he is going to help carry through the tax reform that people are looking for,” said Jeffrey Sonnenfeld, the Senior Associate Dean of Yale. “I think if he steps away, it would crash the markets,” Sonnenfeld said. Regardless if Cohn plans on terminating his employment, just a vague rumor was enough to send markets into a free-fall last week. Evidently, markets are thinly-traded and notably weak in the summer months, especially in August. Moreover, one stock market indicator is sending a flashing warning sign that an ominous sell-off might be lurking around the corner. Something known as the Hindenburg Omen, which got its name from the infamous fiery blimp crash some 80 years ago, has just surfaced in the markets with a pattern not seen since 2007. Even though the S&P 500 gained on Wednesday of last week, there were more stocks hitting 52-week lows than 52-week highs. On it’s own, this is not of major concern. However, as of Friday of last week, the Hindenburg Omen occurred during five of the last six trading sessions. The last time there were more stocks touching 52-week lows than 52-week highs for five days in a row, even with a rising broader market, was in November of 2007. Stocks went on to fall 1.60% the following week and ultimately ended up about 40% lower a year later as one of the worst global financial crises in history ensued. 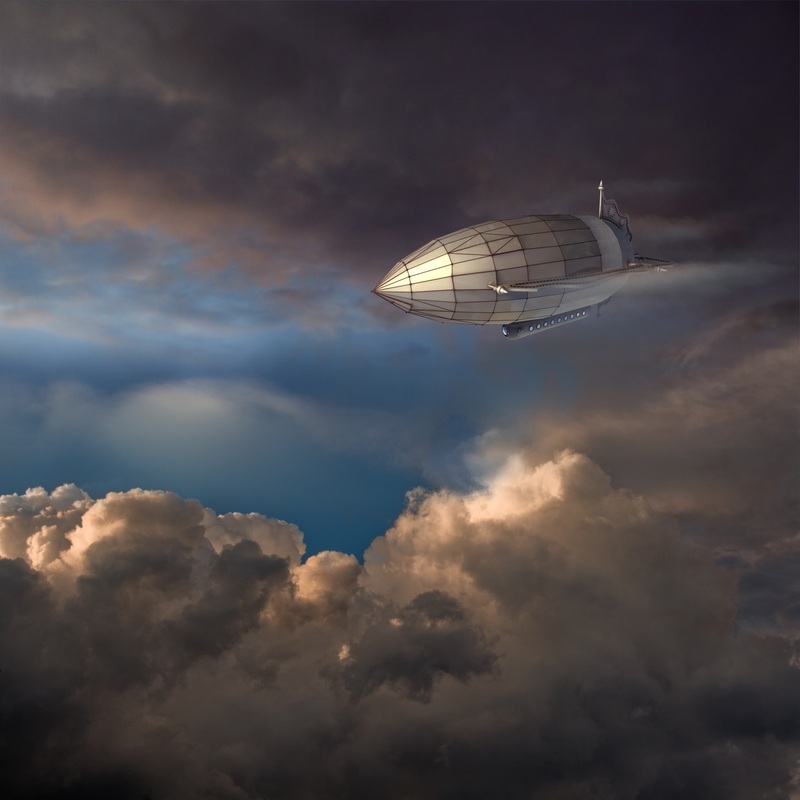 Out of all of the technical analysis patterns and signals, analysts seem to take the Hindenburg Omen rather seriously because it has a demonstrable history of portending stock market crashes. Having said that, the only thing that is certain in the markets is uncertainty. And as uncertainty unequivocally rose last week amid the Gary Cohn resignation rumors and the horrific Barcelona attack, investors once again flocked to the safety of gold. Gold reached a new year-to-date high on Thursday as it finally traded above the critical point of $1,300 per ounce. Gold futures for September delivery traded as high as $1,306.90 per troy ounce during Friday’s trading before the rally slightly fizzled and prices hovered in the $1,295 range. Gold is always appealing in times of grave uncertainty, and with the possibility of Trump’s Senior Economic Advisor outright quitting, it’s safe to say markets are not at ease. Since 1975, Blanchard has successfully helped 450,000+ clients invest wisely in precious metals and rare coins. Our team of experts are always here to help you make the right investment decisions and capitalize on opportunities in the precious metals market.